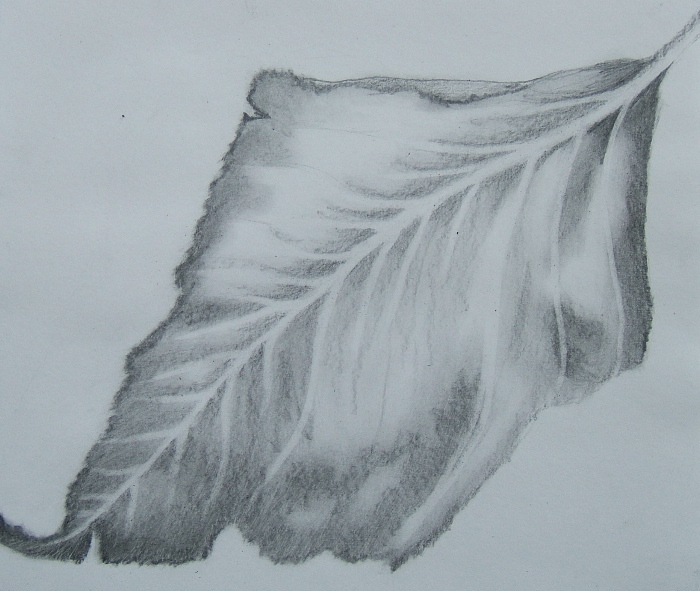 I teach drawing to many adults who have had discouraging experiences in previous art classes, often in their youth. It takes courage for many to even sign up, and invariably they tell me that what helped them to decide to register was the phrase: "there is no such thing as an awful line” in my course description. 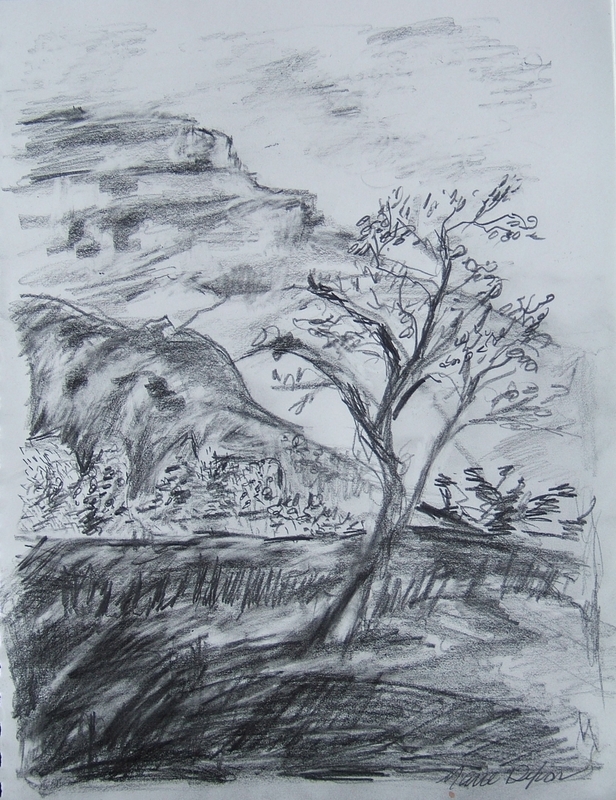 Whether my classroom is in my studio, at Ghost Ranch during the July Festival of the Arts, or in conjunction with a tapestry design workshop, many arrive with the unease of being outside their comfort zone, hoping to have a better relationship with drawing. We begin by getting acquainted with the pencil as a tool, and all the many lines and marks that can be made with it. We do warm-ups with the pencil, for just as a dancer or a singer must warm up and stretch the body or vocal chords, so too must the artist warm up the drawing muscles and neurological connections between the hand, arm, eye, and brain. We play, explore, experiment, and try new things. Then, one-by-one, each student settles into the act of hands with pencil creating marks on paper, following and describing what the eye observes. A quiet concentration comes over the room, and I know that the deeper component of drawing is at work. Drawing is about engaging with the world and truly seeing the shapes, textures, patterns of light and shadow in front of us. The more we focus on a blade of grass, a leaf, or a tree, the more we can understand through observation the essence of leaf, tree, or cloud. We connect in a deeper way, through the pencil in the hand and the focused eye and mind. We enter into the eternal moment. Once my students get this component of drawing, it changes how they see and engage with the world. They have found a pathway to a deeper connection with what they observe, and it helps them to be more fully present. For some, it becomes part of their daily journaling practice. For others, it is a way to begin expressing something that has no words. As I followed along each day during the “ Drawing as Meditation,” I conscientiously took notes and posted samples of my work in my journal. I wanted the notes and artwork to remind me of the special instruction and mood created by the daily exercises designed by Elizabeth Buckley. I had my favorites like the tearing paper landscapes, the movement and drawing day, and making my marks to show my mood. I thought to myself, I wanted to remember each day and someday share with others. Coming back to Sacramento, I had a neighbor who was very sick with cancer and her daughter had asked her to draw her feelings. She was intimidated by the process so I brought the art supplies over and my journal from the class and took a few hours to explain to her that drawing and painting can be very meditative and she had nothing to fear. Each of the exercises could be easily done by someone who had never drawn or painted. The drawing as meditation transported my friend from the weight of her illness, allowing her to get in touch with her feelings in a way that was freeing rather than frightening. My neighbor was successful and very grateful and has continued to use my journal. This is a very peaceful approach to art where everyone is successful in their own way. Drawing truly can be accessible to everyone. 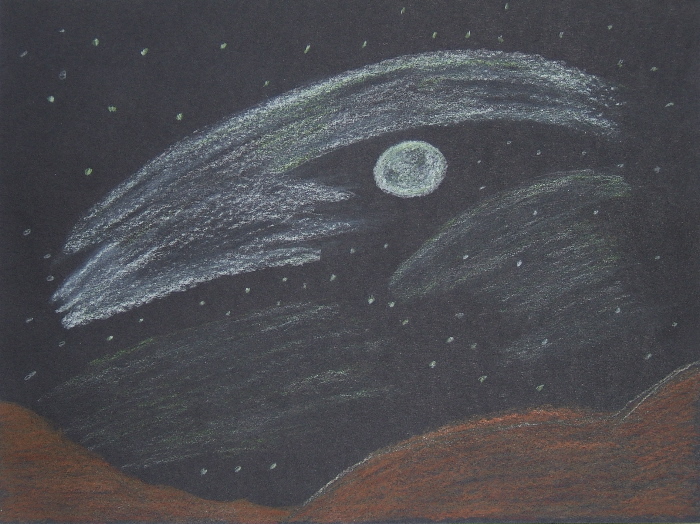 With pencil and paper, one can enter a pathway into the pulse of life. Appreciation to Marie Dixon, Jan Boydstun, Emily Flores, and Laura Nelson for their permission to use their images and words in this post. When Suzanne Halvorson walked into the newly refurbished Fiber Arts Center at Ghost Ranch to begin the first day of her Weave and Wander class on Tuesday morning, July 7th, little did she know that this also would be her last day to teach in this space. Her's was the first class held in it. At 6:30 that evening, a shelf cloud had settled in over the mesas surrounding Pedernal, moving swiftly toward Ghost Ranch. By 6:45 she and her students began gathering for the evening session, continuing with warping their looms, some at the warping board and others tying on and tensioning. By 6:50 pm the rains began, a sprinkle followed by pouring rain, winds blowing sheets of rain at a 45-degree angle. By 7:00 pm, further up the arroyo that runs along the eastern edge of the campus, a 20-foot wall of water had almost peaked its bank near Long House and the Art Building. Teachers and students heard the roar of water, quickly scooped up art supplies off the floor onto tables and left. Further down the arroyo, Suzanne looked out the window of the Fiber Arts classroom and noticed water coming toward the building. She told her students that they needed to leave immediately. Moments later, Maureen Fitzgibbon from Ghost Ranch staff stepped into the classroom and told everyone they had to get out now and head for higher ground. Within the few minutes it took for everyone to pile into their cars, including one blind woman with her seeing-eye dog, the water was halfway up the tires on all of their vehicles. They drove up to the Welcome Center to wait out the storm. Five minutes later, the raging water, now several feet high, knocked down the west wall of the classroom. Churning waters pushed looms into a log jam against the French doors, which then blew out. 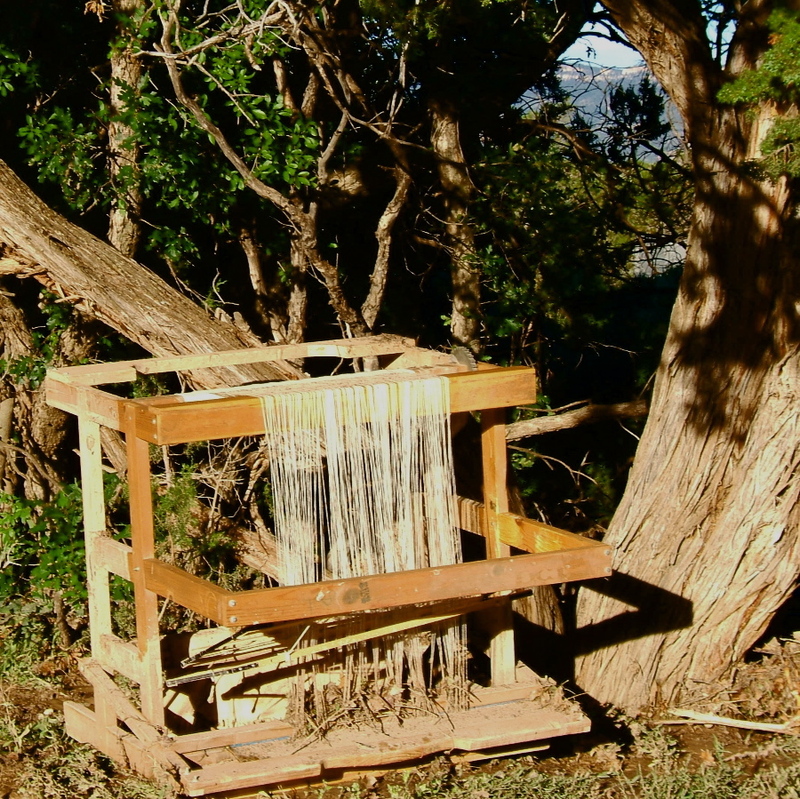 The Rio Grande loom that had been newly tied on and tensioned ended up in a tree 10 feet away. Inside, flood waters crested at about three feet, bringing in mud, tree branches, debris. Further up this arroyo, three other class studio spaces had already been flooded. The stained glass studio, known as Short House, walls had collapsed and its roof had been propelled yards away. All equipment and stained glass inventory gone. Tom Nichols’ van of welding tools disappeared down stream, and propane tanks were ripped from their foundations. Pottery wheels, kilns of Pot Hollow were swept away in the currents. Fortunately, no class was in Short House, and both the welding and pottery classes had decided to meet in the afternoon instead of the evening. Meanwhile, I had been monitoring the torrential storm while I was teaching Drawing As Meditation in the museum classroom. When the rains slowed, more of my students arrived dripping in their wet rain gear. We all knew that this was no ordinary thunder shower, but did not know until later the full extent of the flash flooding in the arroyo on the opposite side of the campus. By 7:45 pm, the rains stopped and within minutes the sun broke through the clouds, lighting up the cliffs of Orphan Mesa to a glowing orange against the remaining gray clouds. I called my class to the windows and outside to witness this brilliant sunset, as I knew that the light would fade within minutes. Soon, a vibrant and full double rainbow appeared. After devastation comes stunning beauty and the opportunity for a new vision. To donate specifically to the arts program: make checks out to the Ghost Ranch Foundation, and designate the arts program. I share with you moments in this, The Artist's Path that is so much my way of being in the world. Each morning I sit at the loom and enter into the eternal moment, where my hands place strands of color into taut warp. 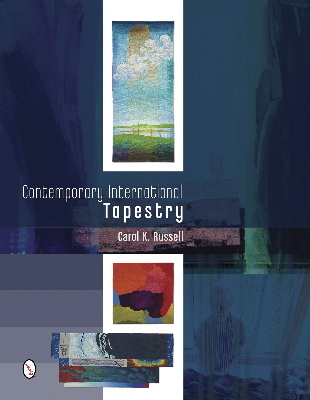 The tapestry slowly grows as I work section at a time, weaving areas of cloth to create the image in a syncopation of threads, shapes, colors and textures with the language of the loom. Ideas and thoughts flow through my finger tips into the newly forming tapestry. All Blog and Website Content, including images, are copyrighted by Elizabeth J. Buckley. Please do not use anywhere without her permission.